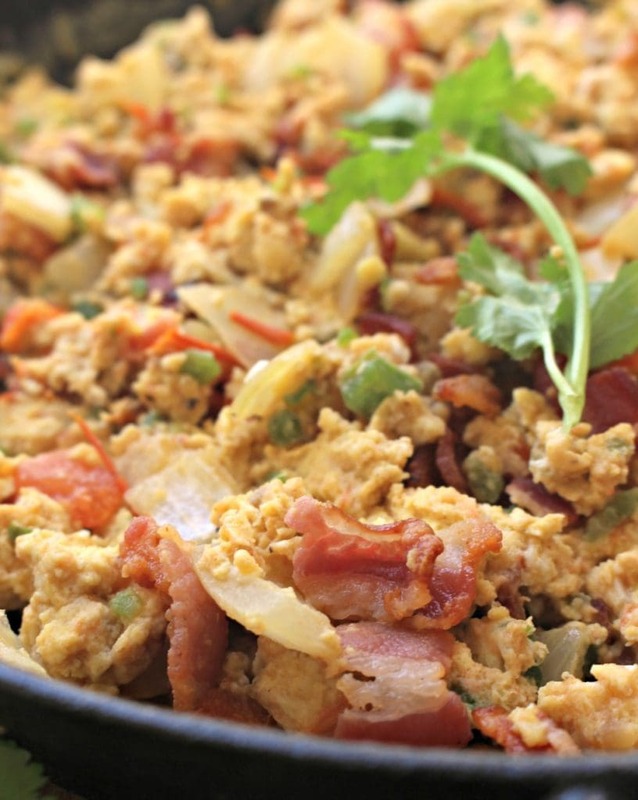 Huevos a la Mexicana con Tocino, or Mexican-Style Bacon and Eggs, is a yummy Mexican breakfast with a spin. Adding bacon elevates this dish to a whole, new delicious level. This is a sponsored post written by me on behalf of Smithfield. As always, all opinions are mine and mine alone. Hope you enjoy this recipe! To me, there’s nothing better than a lazy Sunday. It starts with a big cup of coffee. Everyone is around the house doing their own thing. For me, that means watching cat videos online. I could easily be THAT cat lady. LOL. When I’m done, I’m ready to cook. 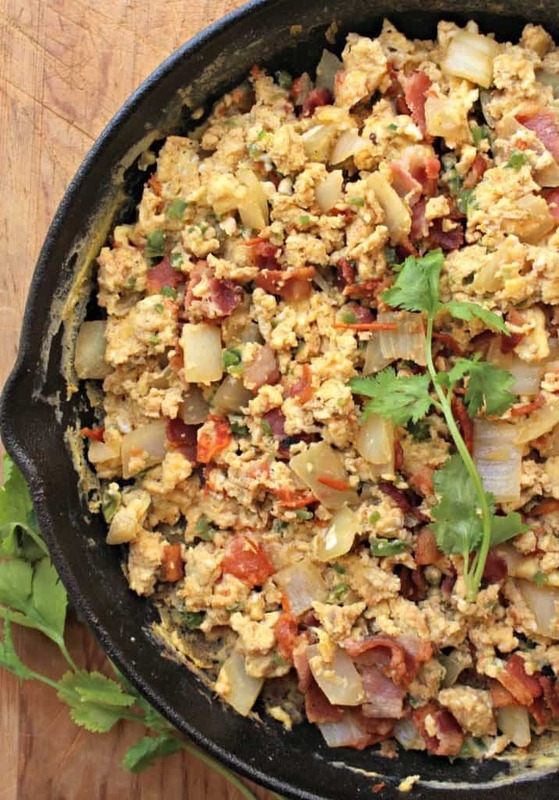 One of my favorite recipes of all time which is Huevos a la Mexicana con Tocino, or Mexican-Style Bacon and Eggs. It’s like a classic egg dish that has been “reimagined” to incorporate bacon and spices. I make this dish on the weekends, but it comes together so quickly that you can easily make it during the week. 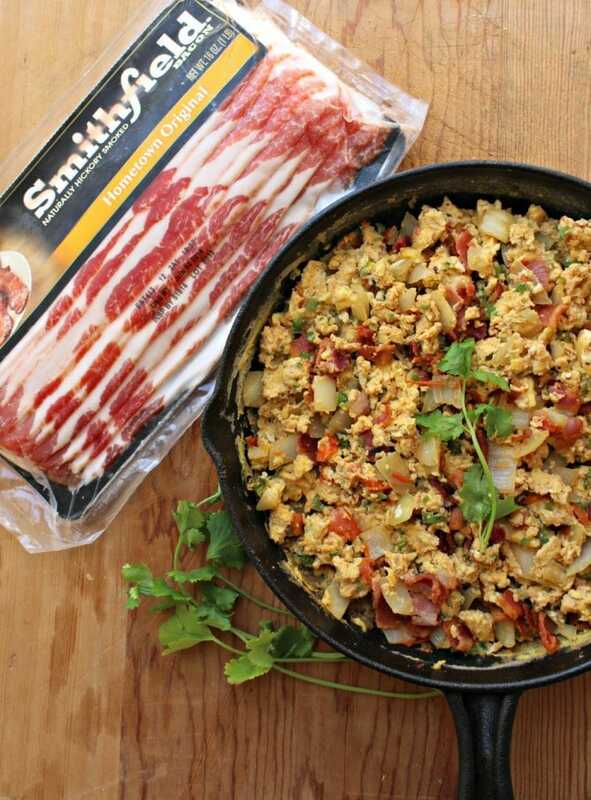 Huevos a la Mexicana con Tocino, or Mexican-Style Bacon and Eggs, starts with chopped bacon. Cook the bacon until crispy. 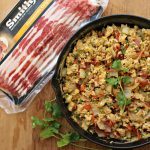 I love to use Smithfield Hometown Original Bacon. It’s convenient and easy-to-use. 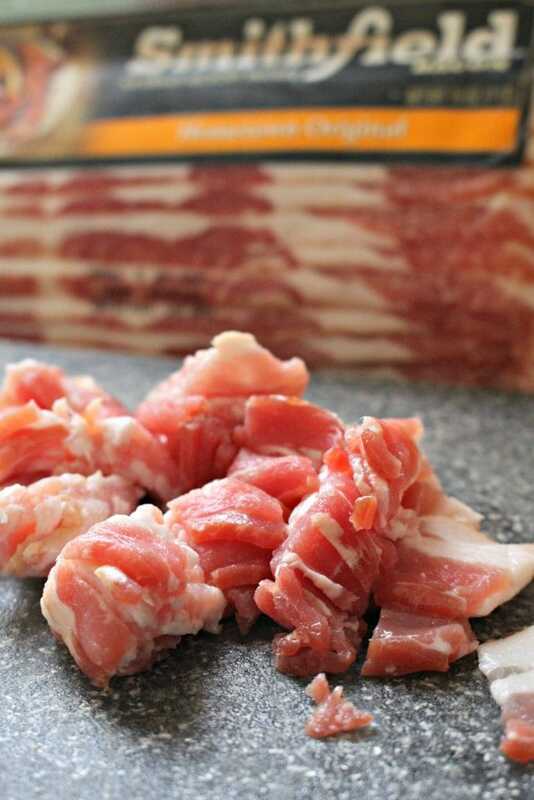 Available in a wide variety of flavors and cuts, this bacon is smoked and cured to a yummy perfection. 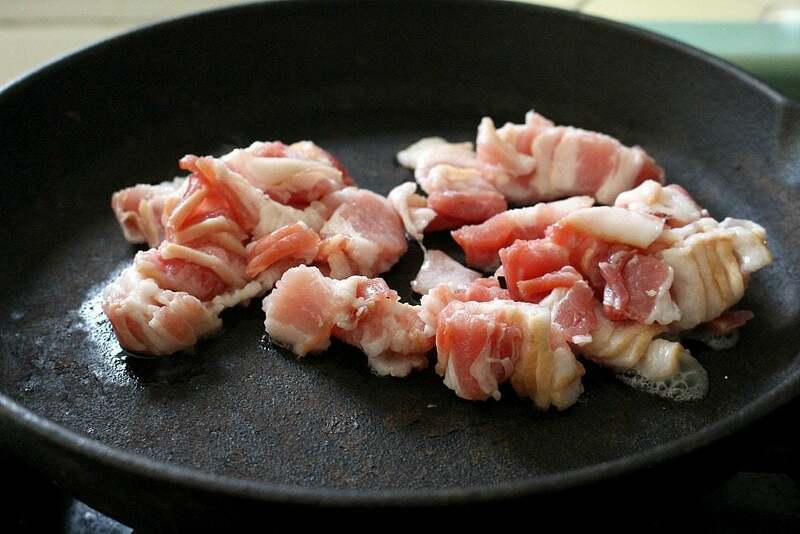 Now remove bacon from the pan, draining most of the fat. Leave about 1 tablespoon still in the pan. 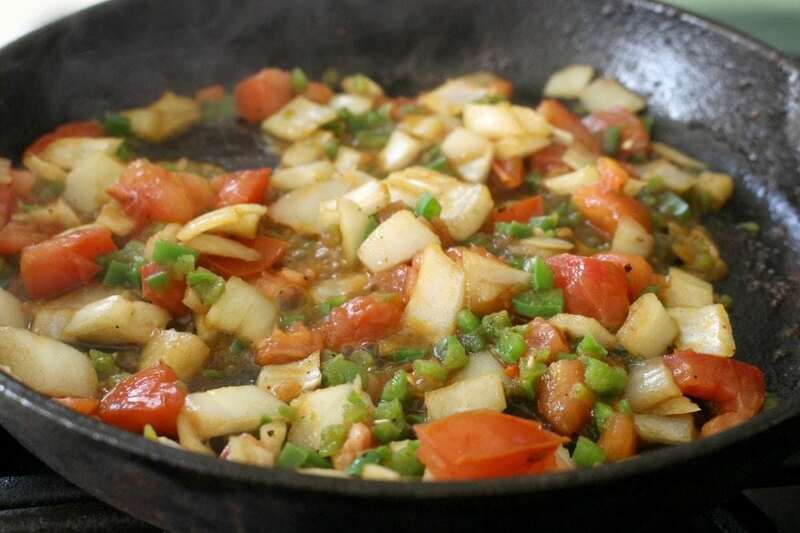 Cook the jalapeno, onion, tomato in the skillet for about 3 minutes. See how it’s cooked down and made almost like a thick, chunky salsa? Yum! Don’t forget to add salt and pepper. In a separate bowl, whisk the eggs. Lower the heat in the pan, and add the eggs. Return the cooked bacon to the pan. Stir frequently and gently until the eggs are cooked. 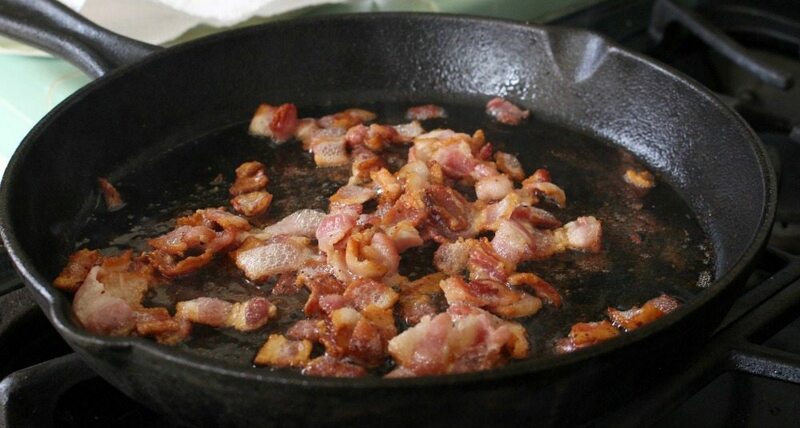 In a large skillet, cook the bacon. 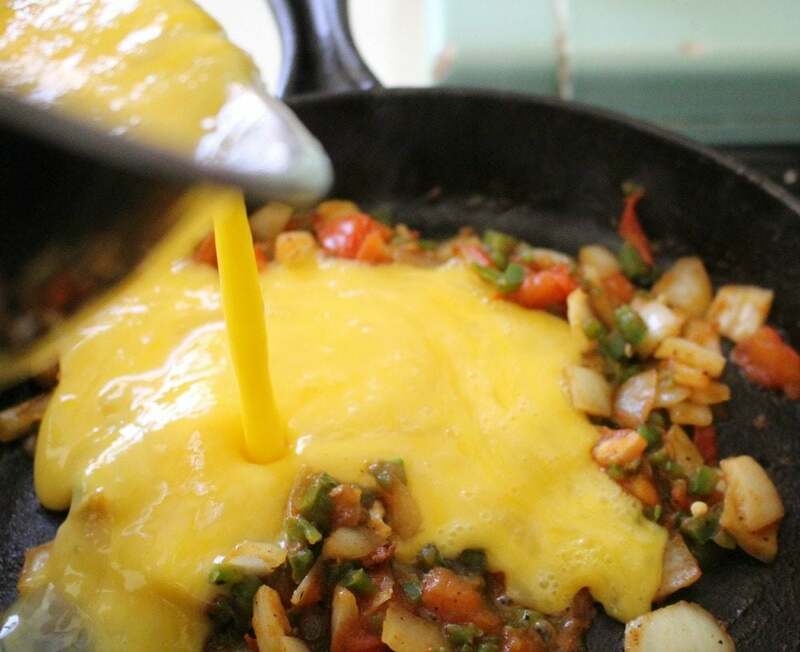 Drain the fat, leaving 1 tablespoon of fat in the pan. 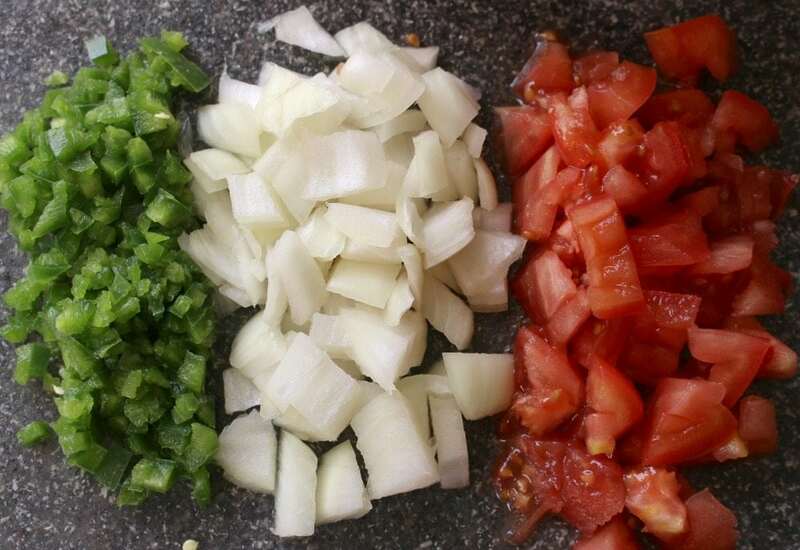 Add the jalapeno, tomato, onion, salt and pepper. In a separate bowl, whisk the eggs with salt, pepper, and pinch of ground cumin. 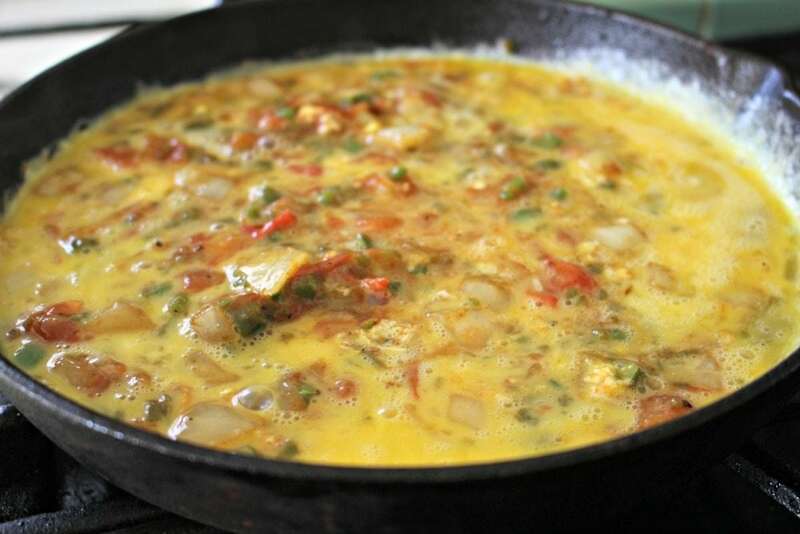 Lower the heat, and add the eggs to the pan. Return bacon to the pan. Stir frequently and gently until the eggs are cooked.